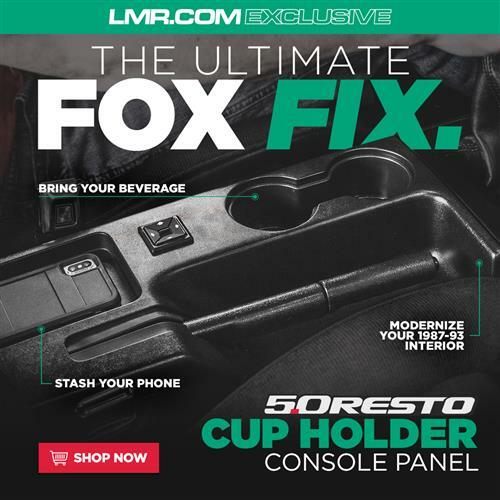 Solve the age-old problem of missing cup holders in your Fox with 5.0 Resto's 1987-1993 Fox Body cup holder console panel kit! 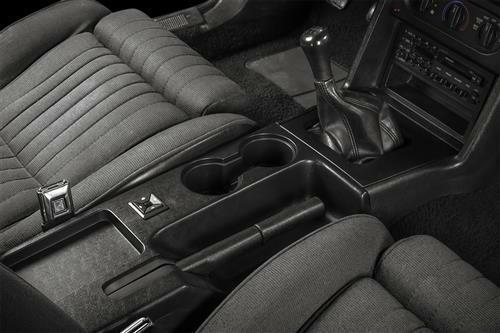 Revolutionize the interior of your Fox with 5.0 Resto's 1987-1993 Mustang cup holder console panel! From the beginning of the Fox era, Fox owners have had the dilemma of deciding where to place their beverage while driving. 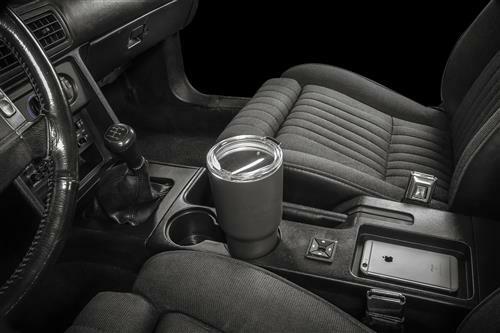 Ford didn't include a cup holder anywhere in the interior, so the quick fix has always been to stick the drink between the parking brake handle and the passenger seat. This location may work temporarily for larger drinks but eventually they, along with smaller drinks, tend to break loose while driving causing a spill in your interior. 5.0 Resto's cup holder console panel resolves this issue with a factory style solution! 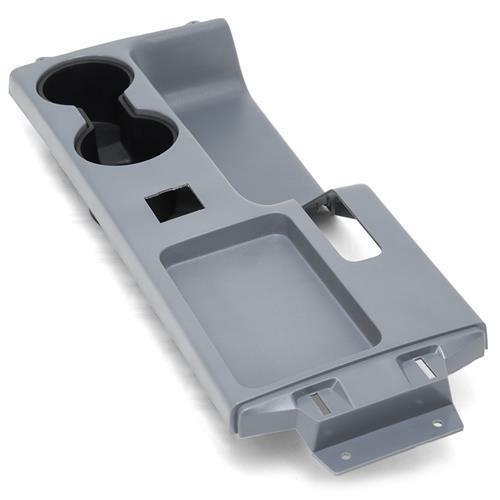 5.0 Resto products are designed and manufactured with OEM fit and finish in mind, and this cup holder console panel is no exception. With the help of computer-aided design (CAD), this console panel features the factory dimensions and mounting points for a direct replacement installation. 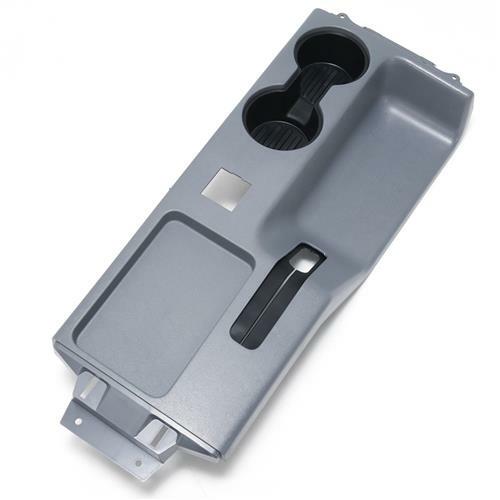 Your ashtray (that's usually broken or unused) has been eliminated and replaced with a dual cup holder insert that has a merged center slot to accommodate cups with handles. This insert effortlessly removes from the console to provide quick and easy cleaning. Each cup holder is approximately 1.98" deep and 2.95" wide to accept a variety of different beverages. 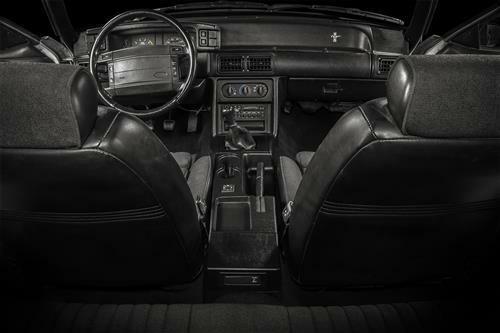 Incorporating a cup holder into the console panel isn't the only change 5.0 Resto made to this panel. 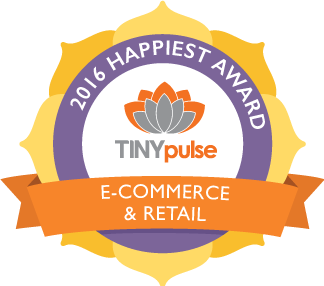 To accommodate modern handheld devices, the coin tray has been enlarged to provide a stable location to rest your device while driving. 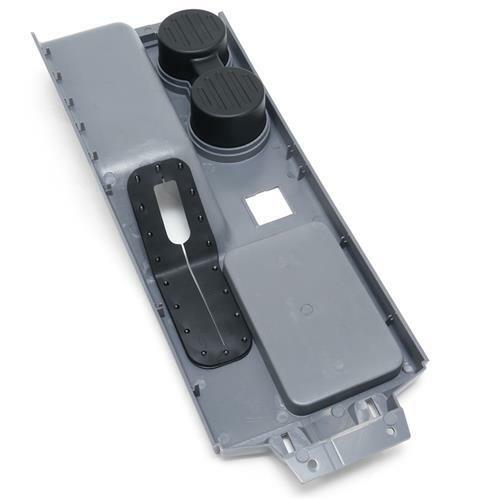 A pre-cut power mirror switch opening allows you to transfer your original switch to the new panel. The provision for the factory e-brake handle is in place so you can easily slide the panel over your parking brake during installation. A new e-brake seal and retainer are included to keep dirt and debris out. Factory style grain and texture are applied to closely match the rest of your interior. The panel is molded in a neutral gray color and will need to be prepped and painted to closely match your Fox interior. E-brake seal arrives uninstalled. New plastic tabs are molded to the bottom of the panel around the e-brake slot. These tabs must be melted to secure the new e-brake retainer and seal or use a plastic and rubber-safe adhesive. -The electrical connection for the cigarette lighter will simply remain unplugged. -Minor filing of the mirror switch opening may be required. 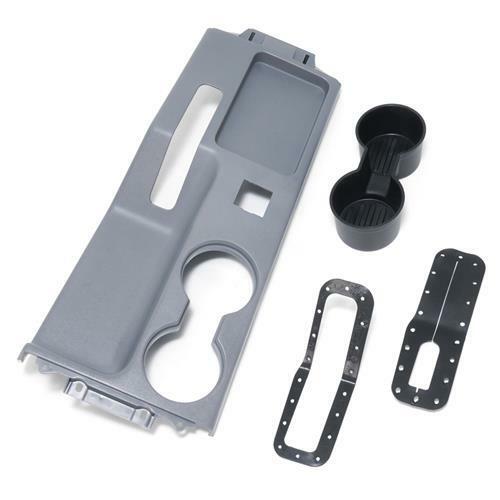 Mustang Cup Holder Console Panel Kit. Factory Styling Meets Modern Design. - E-brake seal arrives uninstalled. New plastic tabs are molded to the bottom of the panel around the e-brake slot. These tabs must be melted to secure the new e-brake retainer and seal or use a plastic and rubber-safe adhesive. - The electrical connection for the cigarette lighter will simply remain unplugged. - Minor filing of the mirror switch opening may be required.